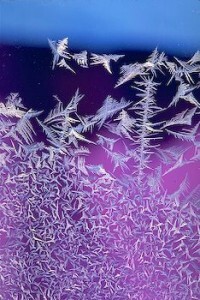 Feel that chill? The cold wind rattling the panes? That’s right, it’s that season come round again, when folks eagerly anticipate the big book awards. Which titles will be this year’s big winners? And on and on and so it goes. But that can’t be what the job’s about. 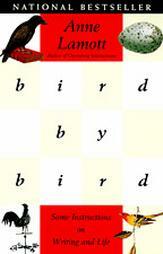 I’ve been reading Anne Lamott’s excellent book, Bird by Bird . . . I believed, before I sold my first book, that publication would be instantly and automatically gratifying, an affirming and romantic experience, a Hallmark commercial where one runs and leaps in slow motion across a meadow filled with wildflowers into the arms of acclaim and self-esteem. This did not happen for me. For every breakout success and buzzed-about book, there are thousands of writers who daily go to silent rooms and do their work. Alack, they do not hand out awards for showing up. But it is the essence of the writing life; each day brings its own shadows and rewards. And so for each reader we are thankful, and again we cross into those quiet rooms with their bright lamps and empty pages, thankfully. Very cool, JP. Thanks for this. It is hard to not get sucked up (down) by all the hype right about now. Thanks, Matthew. I was reluctant to write that, because I was worried about coming off as some kind of pathetic ninny. But I felt like it had to be voiced, though I’m not sure I articulated myself all that well. I ran into a friend this morning at the library, a talented illustrator with many books under her belt. And right now, in this publishing climate, she can’t get a book sold. To get by, she’s working odd jobs, spending less, dipping into savings, just hanging on and hoping for a break. Not everyone gets invited to the party, I guess. And the only appropriate response is get back to work: to make something. Readers, need choices. I am thankful for all writers who continue to write even though it will not make them well known name. Oh James. How did you get so wise so young? I always read your blog with relish. Honest. Sometimes mustard. Nan, I am so, so grateful to have you as a reader, a supporter, and a friend. We talk about writers needing readers, and that’s certainly true. But we also need, as everyone does, to feel understood. So thanks for that, especially. Please note, however, I’m that young anymore . . . but maybe that’s relative.